Welcome to the ‘Official’ Web site of the City of Southampton (Albion) Band. We are a brass band based in Southampton that rehearse at the Swaythling Neighbourhood Centre, just below Broadlands Road. Parking is available in the centre’s car park, via Hampton Park Way just off Broadlands Road. The postcode is SO17 3AT. We are available for hire for all sorts of fetes, weddings, reunions and other events. Please contact our secretary for information on how to hire us. 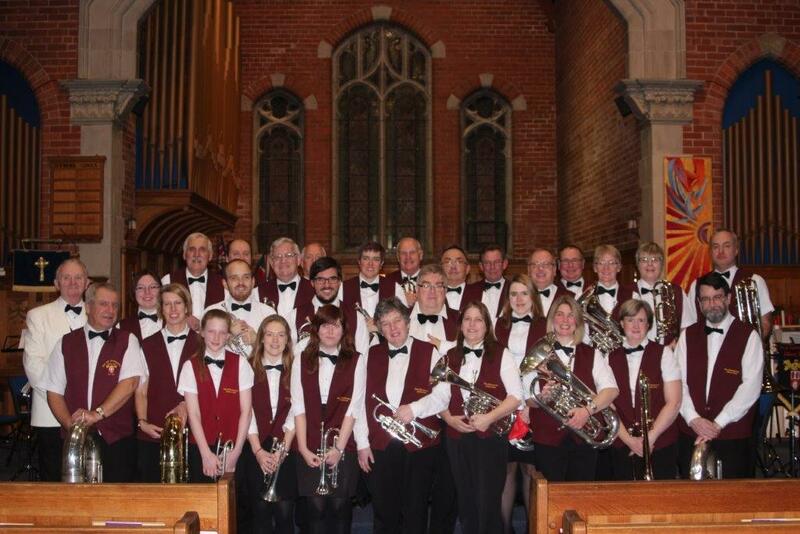 We rehearse every Monday evening, Practice starting at 7.30pm, until 9.45pm. We always make new players welcome, even if they are just visiting the City. If you are interested in coming along then drop us a line. We are particularly looking for cornet, trombone and percussion players at the moment. The City of Southampton (Albion) Band was founded in 1920, and since then it has been part of the City’s heritage, cultural, and community scene playing at the Dell, (Southampton Football Club’s old ground ) for over forty years and at leading local events such as Remembrance Day, VE and VJ Day parades and at the FA Cup Final celebrations in 1976. 2016 marked the 40th Anniversary of this event and the band helped to recreate the experience on 1st May. 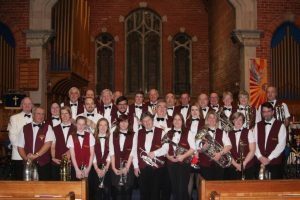 The Band has a very full and varied engagement list in addition to the above, including formal concerts, bandstands, charity events, Christmas carols, and regular tours abroad. In recent years the band has visited Madeira in 2011, Portugal in 2014, Germany in 2015, Croatia in 2017 and are planning on a tour to celebrate their 100th anniversary in 2020. In 2018 the band played a number of concerts around the south of England including concerts in Winchester Cathedral, St. Mary’s Stadium and Romsey. We also did a short tour to Torquay playing at the Torbay Air Show in Paignton. We are now only a year away from celebrating our 100th anniversary and are planning some exciting events for 2020 including an anniversary concert at the Turner Sims Concert Hall in September. Look out for more information when it appears. During 2019 we will be performing at a number of bandstands throughout the region and are also planning a trip to IOW. Nick Dawson, the Band’s Director of Music, has been its conductor since 1993 and gained his earlier experience in the 1980’s with Roger Swift, Director of Music at Knellar Hall and with Jerry MacCall of the Coldstream Guards. 27 queries. 0.719 seconds. Zindi theme.